"The John Allen Chau Archive: Citations to Primary Sources, Major News " by Thad R. Horner, Daniel D. Isgrigg et al. 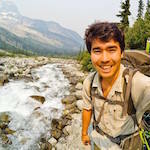 Horner, Thad R.; Isgrigg, Daniel D.; Sample, Angela; Malcolm, Jane B.; Shelton, Sally J.; and Rydin, Roger, "The John Allen Chau Archive: Citations to Primary Sources, Major News Reports & Commentary" (2018). John Chau Archive. 14.